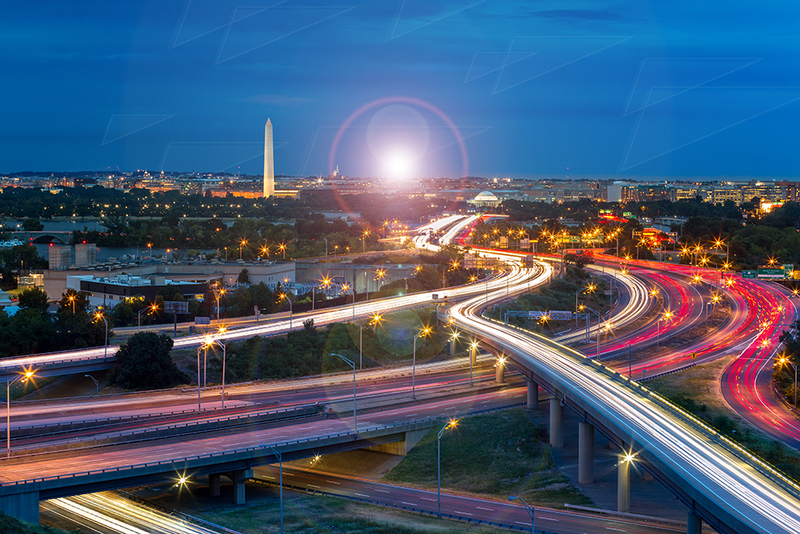 For nearly 30 years, DLT has grown to be one of the nation’s top providers of industry-leading IT solutions for the public sector. The strategic decision to focus solely on the public sector market has cultivated trust and assurance with our technology vendors that DLT is their go-to expert. With the evolution of technology and the emphasis on modernizing government, the public sector is changing how it procures new technologies by leveraging consumption-based and as-a-service delivery models. This shift demands a change in how technology companies, channel partners, and traditional distributors go to market. DLT’s evolution to the premier government solutions aggregator better aligns our capabilities with the direction of this market. So what is solutions aggregation? In the past, the public sector procured IT components such as hardware, applications, and services piecemeal, with the frequent requirement that these components all be delivered on-premise. Today, government agencies have more choices in what and how they buy. Consumption-based models and the rapid emergence of cloud has given the public sector the ability to procure business-oriented solutions that rapidly scale and simplify the acquisition of hardware and software. As a Public Sector Solutions Aggregator, DLT creates effective go-to-market strategies that its technology vendors and channel partners can leverage to deliver optimal business-oriented solutions to the government customer. DLT couples our technology vendors’ software with the requisite infrastructure from cloud-service-providers and supports those technologies by leveraging a network of channel partners that provide critical consulting and implementation services. The end result is a customer-specific, mission-oriented experience—a true win-win-win for our technology vendors, channel partners, and public sector customers. 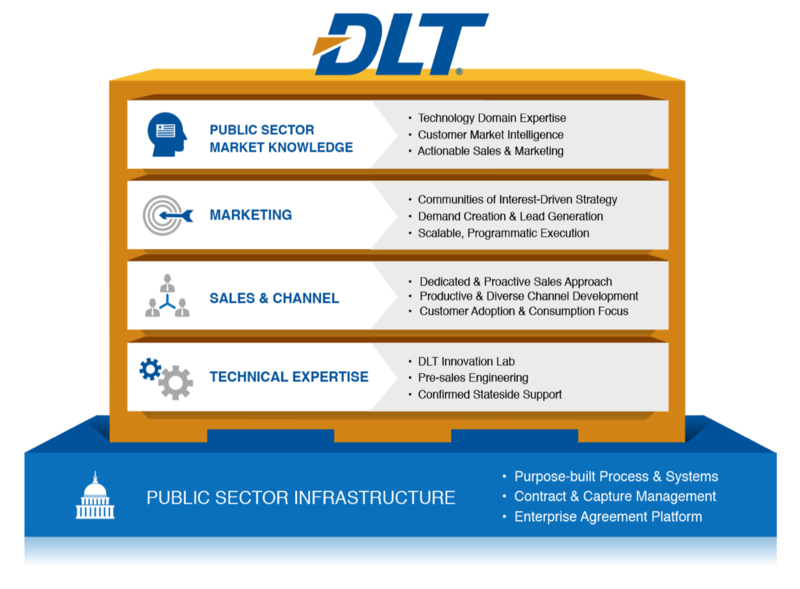 DLT’s solution aggregation strategy is accomplished through a platform of unique value services that are customized to align to our vendor’s go-to-market strategy: Public Sector Market Knowledge, Marketing, Sales and Channel Enablement, Technical Expertise, and Public Sector Infrastructure. DLT’s Public Sector Market Knowledge leverages our chief technologists’ understanding of strategic technology domains including cloud, AI/big data and cybersecurity. We are further informed by our market executive’s understanding of government programs, initiatives, funding priorities, and contract vehicles, which yields the actionable intelligence necessary to drive more effective sales and marketing activities. When you are marketing to government, you are really marketing to individuals that have their own interests, concerns, responsibilities. At DLT, our Marketing team targets Communities-of-Interest (COIN) where individual’s interest in strategic technology domains are tracked to drive more effective campaigns. We communicate with our database based on technology interests exhibited by their actions including web site visits, downloaded white papers, technologies bought, and events attended. These COIN scored contacts are used to drive our demand creation and lead generation activities, resulting in more effective campaigns. A scalable and programmatic execution of marketing activities provides both strategic branding and tactical pipeline development for sales. But what good is marketing without the Sales and Channel Enablement to capitalize on it? Our sales teams align with our vendors to jointly drive business. Whether working with vendor’s direct sales teams or channel teams, we develop joint business plans to align the delivery of our value services to accelerate their public sector business. Deep relationships in the channel partner community allow us to identify, recruit, enable, and manage the right partners to create a productive channel. With today’s cloud/subscription models, we also follow up to ensure adoption and consumption metrics are met, driving monetization of recurring revenue streams through customer success. Critical to reducing sales cycles associated with this complex market is leveraging our Technical Expertise. DLT’s Innovation Lab and Pre-Sale Engineering expertise help engage partners and customers to showcase vendor-specific customer use cases that align technical requirements and demonstrate successful outcomes driven by the use of these technologies. 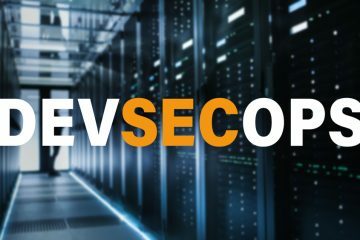 Our vendor-certified Confirmed Stateside Support engineers also allow vendor’s to meet unique government requirements for sustained customer technical support of their products. This 24x7x365 Tier 1/2 technical support is registered ITAR compliant through our US Citizen/US Soil technical support center. Supporting all of DLT’s value services is our Public Sector Infrastructure providing purpose-built processes and systems to allow scale in this market. Contract and capture management capabilities are integral to meeting unique government acquisition requirements. DLT’s Enterprise Agreement Platform delivers a comprehensive market-place driven framework that helps the government consolidate, centralize, and streamline technology acquisitions through enterprise agreement. This capability delivers unprecedented visibility into asset management, reporting, trend analysis, and other metrics used to quantify cost avoidance and ROI of the agreement. This provides the government with the most optimal pricing for new technology solutions and DLT’s technology vendors with detailed insights to use for targeted upselling and net new sales and marketing campaigns. 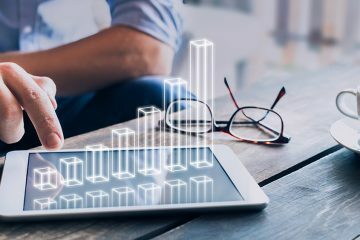 DLT’s public sector aggregation platform has been proven for nearly three decades, driving over $1B and 30,000 transactions/year. 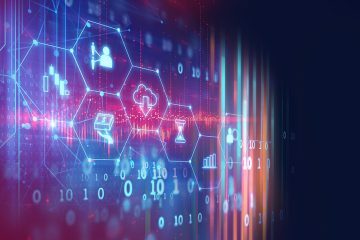 As the way government procures technology – and the technologies themselves – continues to evolve, DLT is delivering unparalleled value to its public sector customers, technology vendors, and channel partners through solutions aggregation. 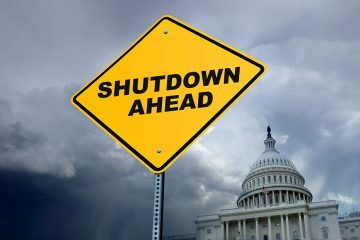 To learn more about how DLT is impacting the government IT industry as a Public Sector Solutions Aggregator, speak to a DLT representative today or visit www.dlt.com.